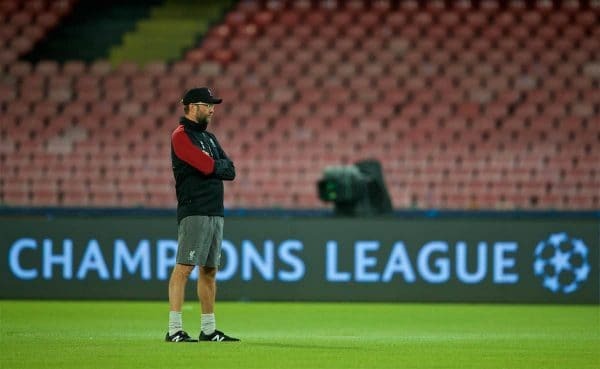 Jurgen Klopp oversaw training at the Stadio Sao Paolo on Tuesday evening, as Liverpool prepare to take on Napoli in their latest Champions League clash. 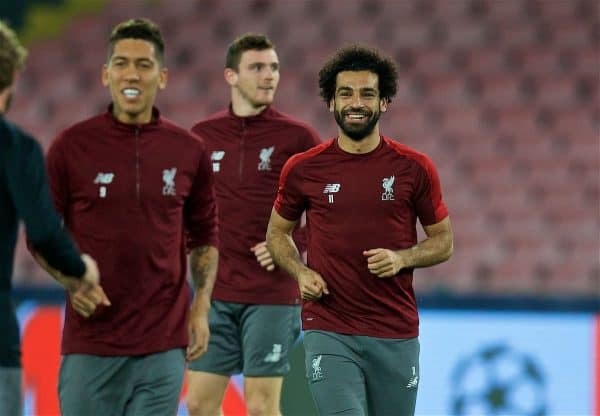 The Reds arrived in Naples on Tuesday afternoon buoyed by a hard-fought draw at Chelsea, and with memories of their 3-2 win over Paris Saint-Germain still fresh. 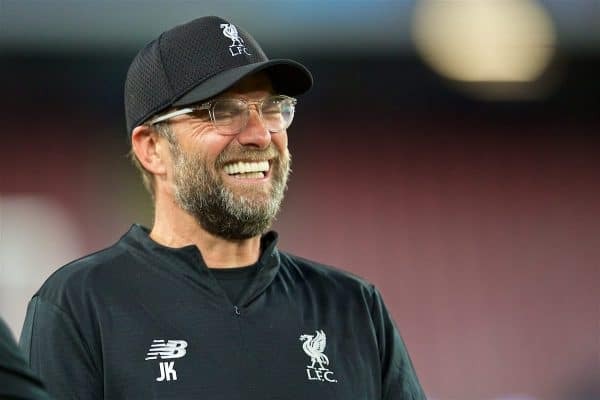 Klopp’s side face another big challenge in the shape of Napoli, however, as the manager looks to balance his squad between this game and the weekend’s visit of Man City. 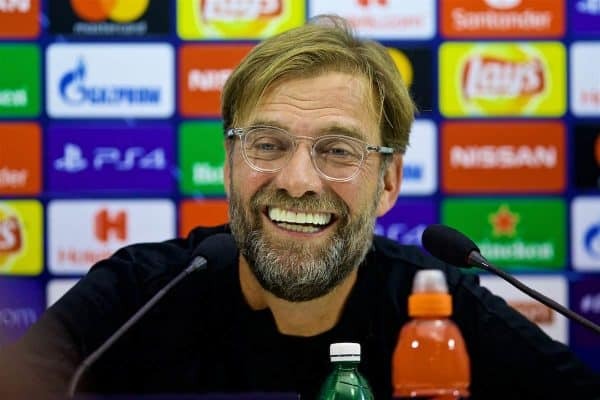 “Napoli is really well organised, with quality in all departments—speed, good in dribbling, tactically really strong—and that makes it a really good football team,” he said. 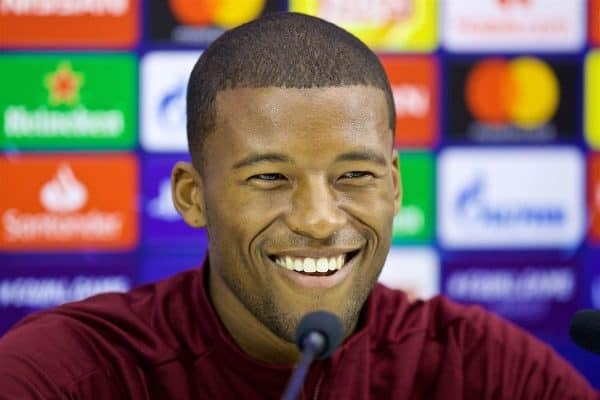 Klopp was joined by midfielder Gini Wijnaldum for the pre-match media duties, with the Dutch midfielder praising Daniel Sturridge‘s form and fitness this season. 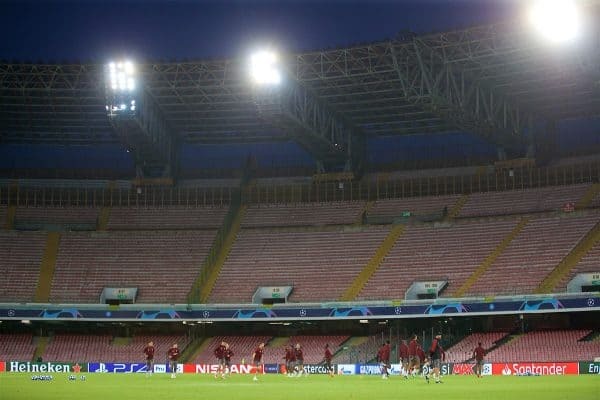 Sturridge was among the 23-man squad who then trained at the 55,000-seater stadium, looking very relaxed and happy. 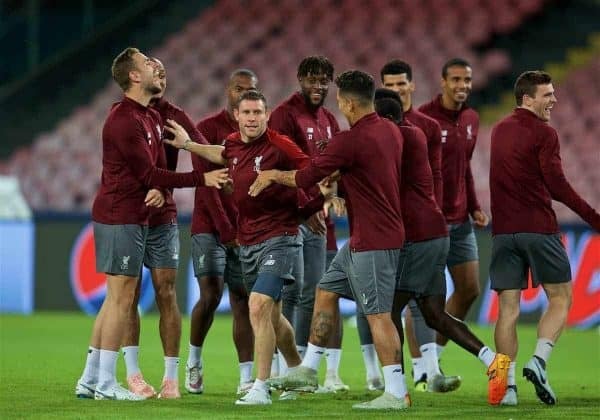 The session began with a birthday song for Alisson and Roberto Firmino, who turned 26 and 27 on Tuesday. The group then engaged in some team bonding exercises before advancing into a proper warm up and some ball work.